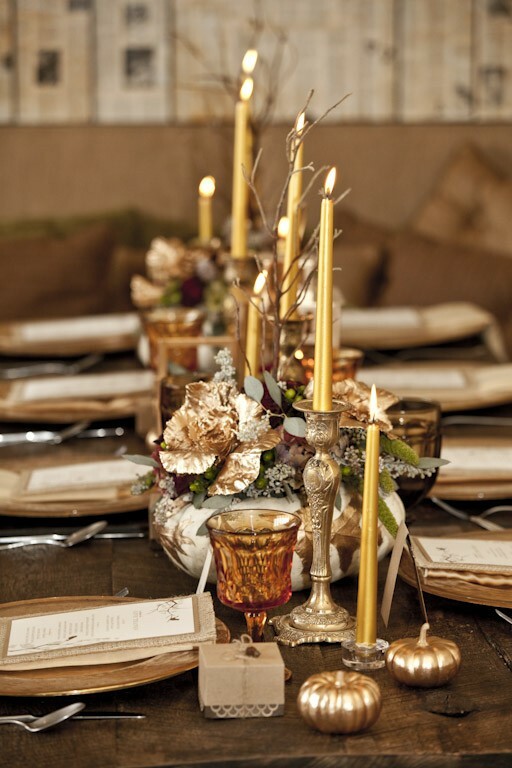 Have you thought of a wedding with the idea of thanksgiving celebration? Think of the bountiful feast and colors that always accompany the celebration. If you have a lot of out-of-town guests, may as well do a big Thanksgiving celebration with them! Perhaps not on the day of Thanksgiving, but the following Friday or Saturday would be perfect. I would suggest proposing this plan to your guests one year in advance so they have plenty of time to plan their travel. 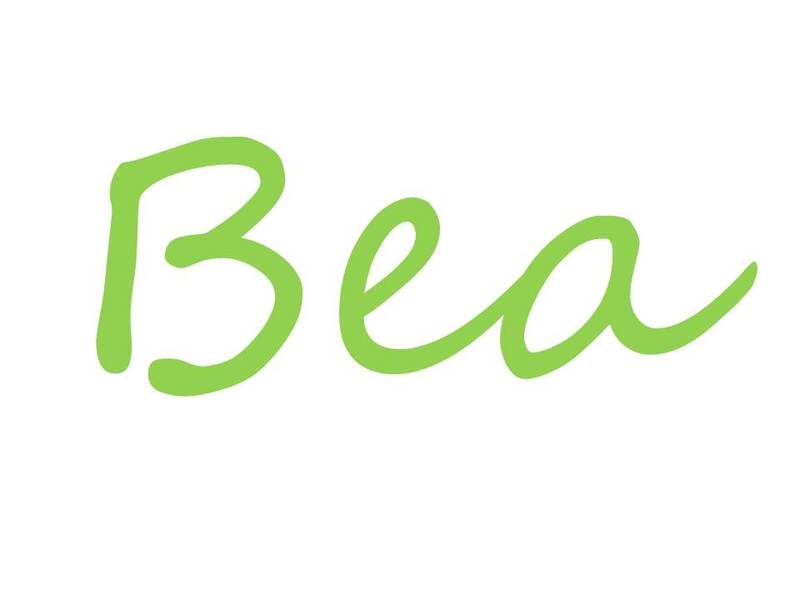 The biggest perk for you is that most venues and vendors would be available for the weekend and just might be willing to extend a few deals for you. Having a great looking entourage is very important. Color-coordinate them in honey and wheat. Do not be afraid to mix and match! Halter-neck gown (No. 2748) in Venetian gold, Vivian Diamond for Dessy Collection, dessy.com. Dress (No. 373) in copper/creme, Bari Jay, barijay.com. Top and skirt, Sarah Seven, sarahseven .com. “Diane” wedding gown, and necklace, Vera Wang, verawangonweddings.com. “Harper” heels, J.Crew, jcrew.com. Dress, Vincente Villarin, info@gregmillsltd.com to order. 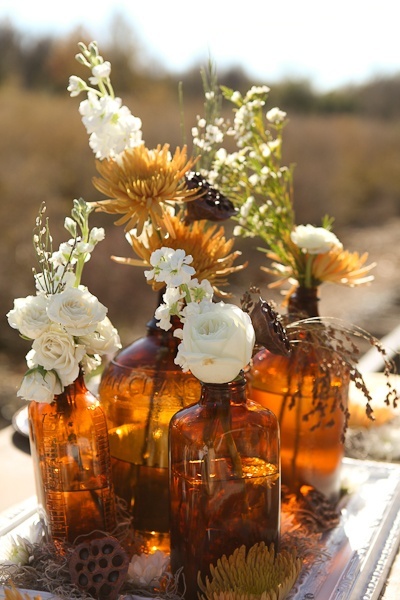 I meant go with wild flowers with amber bottles. Such prettiness that your heart will burst! Pretty things are always the trend for weddings, so go all the way. This is one of the most important day of life so make the best out of it. 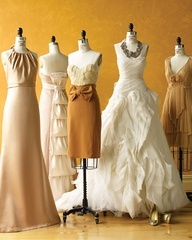 Use lots of shades of muted-gold & ivory to keep it elegant yet warm and natural. Instead of sending a Thank You card after the wedding, create a “Grateful for You” card at each place setting. It made the wedding so much sentimental and the guests who are coming to your wedding will feel so much appreciation for their presence since they may have to sacrifice a celebration with their own families. 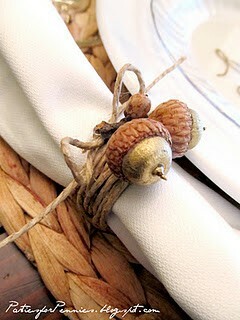 Posted in Lovely Inspirations and tagged amber, holiday wedding, honey and wheat wedding, thanksgiving wedding. Bookmark the permalink. I would LOVE to shoot this wedding! Amazing theme and details to die for.